Found this neat blog about the effects of Hurricane Katrina. Has a sweet list of songs for those that miss New Orleans. 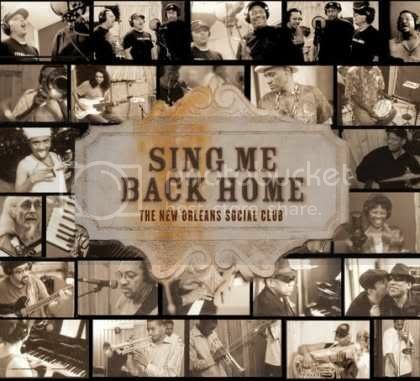 Pictured below is a CD compiled by the New Orleans Social Club. I had to post the picture because the title is so fitting. I'd like to add "Ain't No Place to Pee on Mardi Gras Day". Any special requests? i wish i'd see you! i miss nola so much! what a beautiful place! find peace there, find work there and (don't tell dad this) i may find my way home... the culture suits your pursuit. the people love to support others, epically their own! i feel it appropriate to remind you to not make too many plans..."life is what happens when we're making other plans" ~John Lennon. goals...that's where its at. it is striving to be better that motivates us but livin' life!! that gets us there. LOVE YOU! Miss You, Smarti! Great words. So true. I just checked out your blog! Its awesome. You're on my bookmarks, and I'll be visiting you often. can you see me bookmarking you too?